There are approximately 10.3 million people living in Tunisia. The majority are Arab and Berber although there are some Europeans, mostly French and Italian. Arabic is the official language but French is also widely spoken. English is taught in the schools as well as some German and Spanish. Although Islam is the national religion, freedom of religion is practiced and there are some very old Jewish synagogues throughout the country. Perhaps 1% of the population is Jewish and another 1% is Christian. Located on the Northern coast of Africa, Tunisia lies along the beautiful Mediterranean Sea. With its sandy beaches and crystal clear waters, you can enjoy swimming, sailing, or diving. Or if you prefer, you can golf, play tennis, or even hike. And if your hotel doesn't provide you with access to these sports, small clubs will accommodate you for a nominal fee. Some can even rent you equipment. 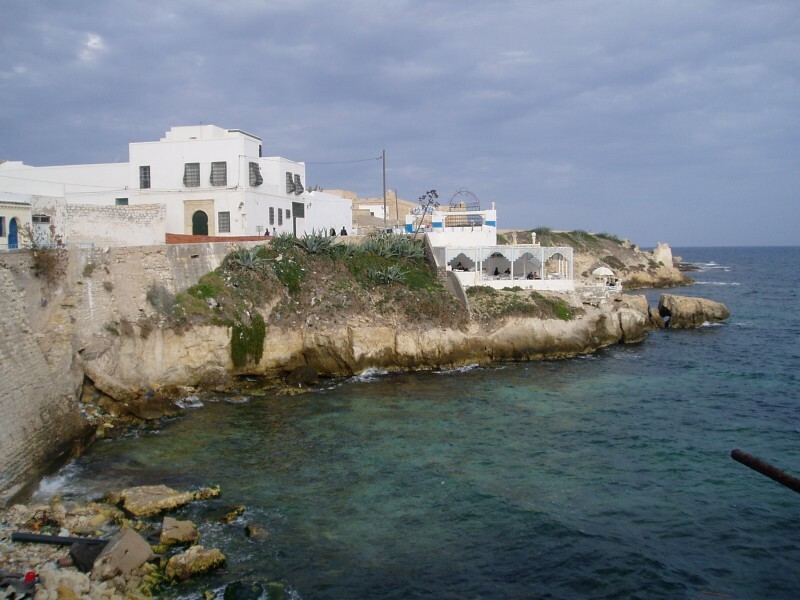 Tunisia is one of the northernmost countries in Africa and has a very long coastline. The country can be divided into three sections: The Dorsal, the Tell, and the Sahil. The Dorsal is an extension of the Atlas Mountains and runs northeasterly from the Algerian border on the west to the Tell. The Tell is characterized by long rolling hills and plains. The Sahil is a plain that runs along the eastern coast. About forty percent of the country is part of the Sahara desert, and the rest is fertile. The climate is fairly moderate and there are generally four seasons. The winter tends to be rainy while the summer is dry. Despite the fact that winter temperatures can sink to freezing, it rarely snows. Summers can reach a high of 89.6 degrees Fahrenheit (32 degrees Celsius). With so much history, Tunisia has many attractions. The Ghriba Synegogue is more than 1400 years old. The Lonely Mosque is unique in that it is not built in a city, but stands alone. The Mosque of the Turkish mother is known for its creamy whiteness and soft lines. These are located on or near the island of Djerba, also known as the "Isle of Forgetfulness," an island also known for its sandy beaches and sailing. 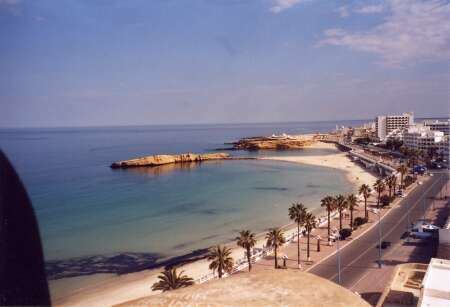 Sousse is a major coastal city in Tunisia, known as the "pearl of the Sahel." Sousse is also know for its many festivals including the Sousse International festival that runs from July to August, and the Mediterranean Olive Festival in December, to name but two. 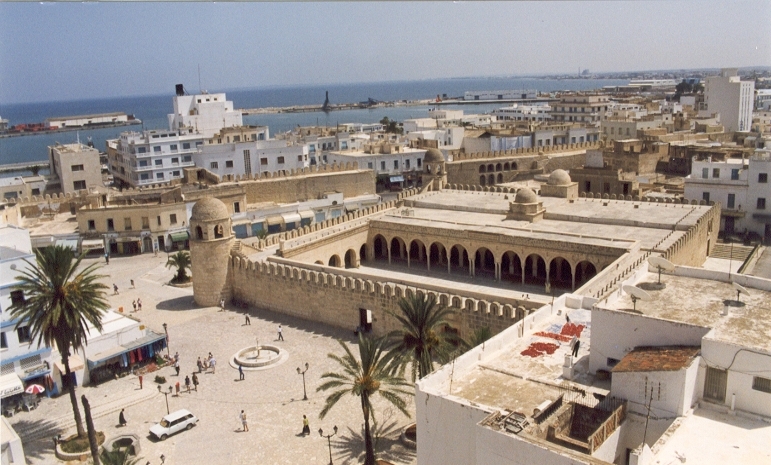 Sousse also has many museums and monuments that celebrate the rich history of Tunisia. The capital city of Tunis is known for its architecture and for the Bardo museum. The Bardo boasts artifacts that date back to Roman times. Tunis is also home to La Marsa Beach that is perfect for families and children. Like other Tunisian cities, there are also a host of hotels and restaurants to accommodate the traveler. The Berbers were the earliest settlers, and the Phoenicians settled the coast in the 10th century B.C. Carthage was founded in the 9th century. Legend has it that Queen Dido founded the city. By the 5th century Carthage had risen to power in the ancient world. Carthage fought repeatedly with Rome, with Hannibal at the lead. Still, Rome conquered the area around the 2nd century B.C., and Roman rule lasted until the 5th century A.D. when the vandals seized power, only to be re-conquered by the Byzantines a century later. 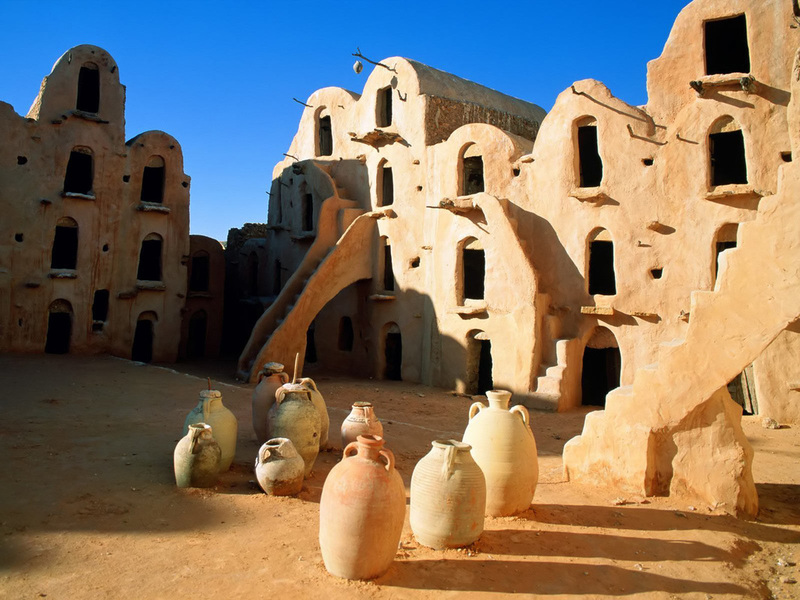 Arabs took control of the land in the 8th century and Tunisia prospered under their rule. Irrigation systems were built for the towns and for agriculture. There were scattered Berber rebellions, but for the most part this was a peaceful period of Tunisian history. In 1159 the Almohad caliphs conquered Tunisia. In 1230, the Berber Hafsids succeeded the caliphs and ruled until the 16th century. Again, this was a prosperous time for Tunisia. However, during the last years of the Hafsids, the coasts became a pirate stronghold and the Spanish managed to wrest control of the country. Their rule was very brief, because soon the Ottomon Empire took over. Ottoman rule was benign and Tunisia enjoyed virtual independence until the French colonized Tunisia from 1881 until 1956. World War II saw major action in between allied and Axis forces. This is where Montgomery and Rommel battled it out. Afterwards, the French continued in control of the country until 1956 when Tunisia became independent. Currently Tunisia is a nominal democracy. Nightlife in Tunisia is rather laid back. The locals tend to visit each other but there are also places of interest. While each hotel may have their own bar and live entertainment, just ask locals and you may discover a hidden gem where you can listen to live music. There is also cinema, and the theatre season runs from October to June. 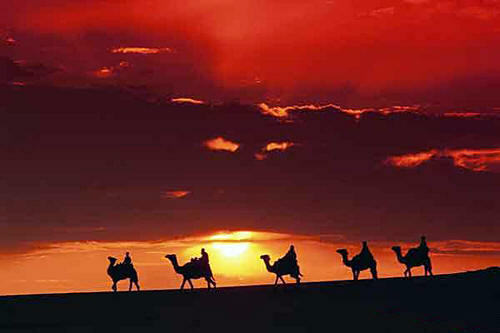 In fact, Tunisia is known for producing some of the best films in Africa. If gambling is your scene, there is a casino five minutes outside Port El Kataoui. While Tunisia is known for its tolerance, it is still a muslim country and therefore much of the nightlife is alcohol free. Since so many people have lived in or traveled through Tunisia, the culture of Tunisia is wonderfully diverse. Romans, Berbers, Jews, Christians, Arabs, Turks, and the French have all had an impact. As a result, the Tunisians are known for their moderation, hospitality, and tolerance. Of course, the food of Tunisia is marvelous. Each region has its own special bread. Lamb is a staple, and the Tunisians prefer their food spicy. As a coastal country, seafood is a major part of the diet. For dessert, the Tunisians have developed a love of Turkish baklava and no celebration would be complete without it.